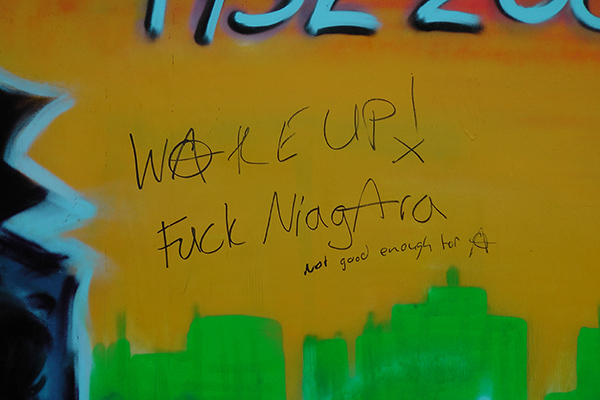 East Villagers love street art — they also love graffiti! So what's better than a mural with graffiti on it?! 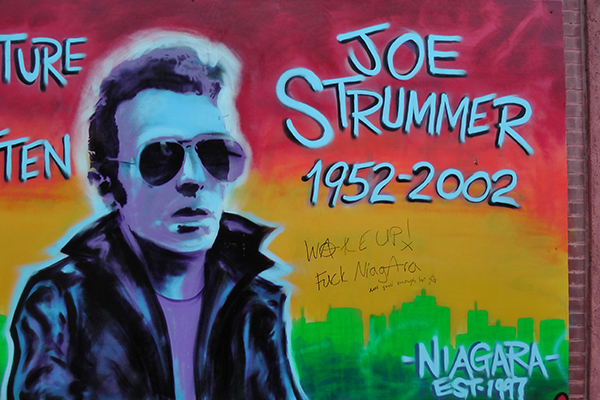 Beloved Joe Strummer mural, with graffiti. My psychic-detective abilities tell me that a malcontented sleep-overer — and anarchist! — scrawled this. My psychic-detective abilities also tell me that this was not the result of being refused service! Not good enough for A-in-a-circle… in the East Village Today! East Villagers lay it on the line!